I’m expecting 12 – 18 inches of snow today! Will I let that stop me from thinking spring? NO! What’s better than an extra hour of daylight and warm sunny days to look forward to? Brand new free spring printables and lots of them – that’s what. I’ve teamed up once again with an amazing group of gals to create them (if you missed last years spring printables, you can print them HERE). 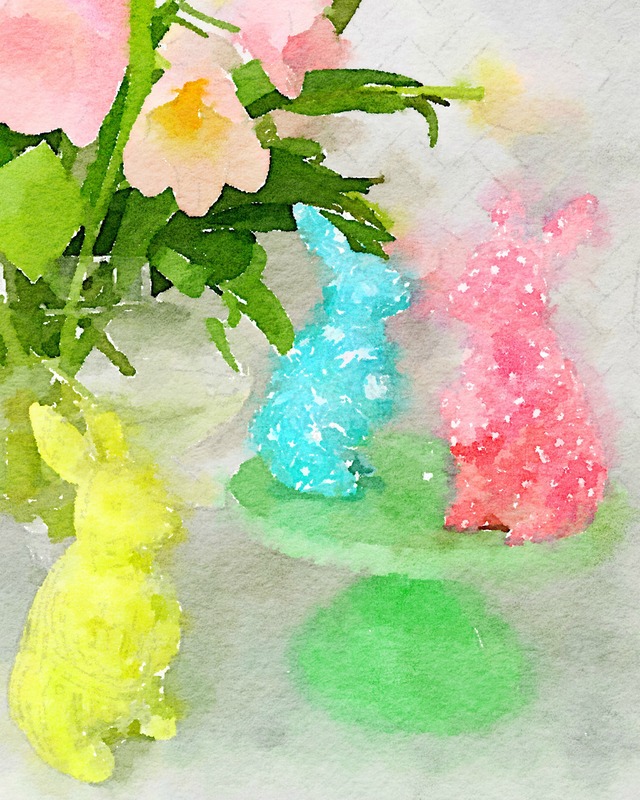 You can print mine – the cutest watercolor of brightly hued bunnies – then scroll to the end of this post and choose your favorites to print. Set to print 8″ x 10″. Print on heavy card stock or regular printer paper. Pop this into a frame (I got this one at HomeGoods) and you’ve got yourself an instant spring decoration – for free! Here are even more brand new spring printables that my friends whipped up for you. Thanks so much Norma – happy spring! Stay safe and warm Mary Beth! Yes, three little snowbunnies! I took a photo of my bunnies and used the Waterlogue app to create the watercolor! 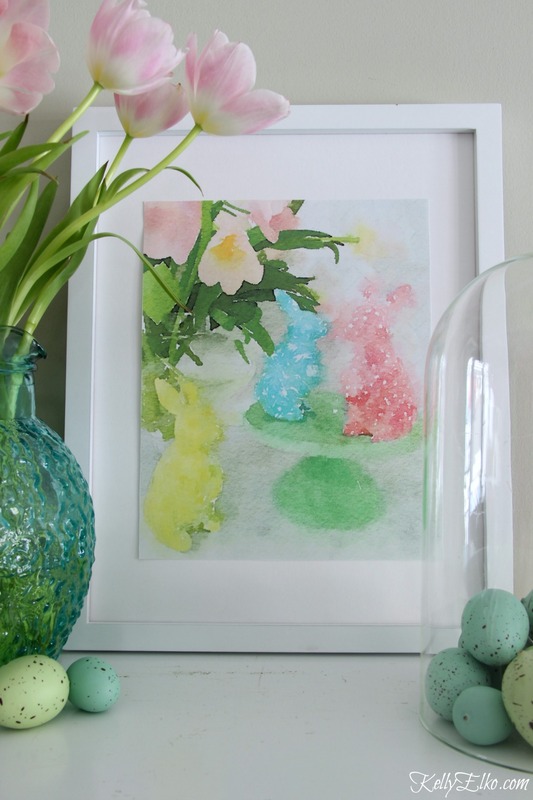 Love your watercolor bunnies printable and the entire collection! Sharing with my readers today! If this group ever needs another person, I’d love to be added! These printables are so beautiful! I love the mix of colors they have, perfect for any house style. Thank you for posting them!